RAILWAY stations mark the start and finish of a train journey, be it for the commuter, the long-distance traveller, the shopper or someone attending school or a higher place of learning. There we board and alight from trains, maybe make a purchase at the station, maybe seek a taxi or a bus to complete the journey. Stations grow on the traveller; they appeal because of a comfortable waiting room or their architecture or perhaps easy access from the street. On the other hand they may be disliked because of lack of shelter from the elements or an absence of architectural delight. 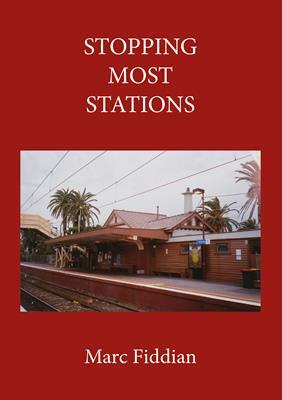 Stations vary from the grandiose structure in a major city to an unappealing wayside building on a country line or outer suburb. Some have a long life, especially those built of brick or stone, but others have to be replaced because they were not constructed to last or they were victim of a fire. During the life of a station it’s bound to be the centre of attention in some large or small way at some time. There could be a robbery, a fire, an unusual incident, a celebrity boarding or alighting from a train. Stations also have had an impact on the commercial life of a community, with businesses leaving one area and gravitating around the station once established.